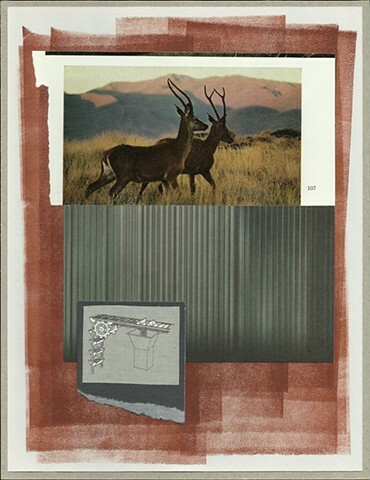 This original collage measures 8.5" x 11". It is made from a variety of papers and includes a background of rolled block printing ink. The materials and images chosen create a juxtaposition between natures pristine beauty and mankinds progress. It is simple to say that we are destroying the environment for all life, but I have always found beauty in the industrial and the decaying, man-made world. I am simply questioning this balance, as well as the choices we make.